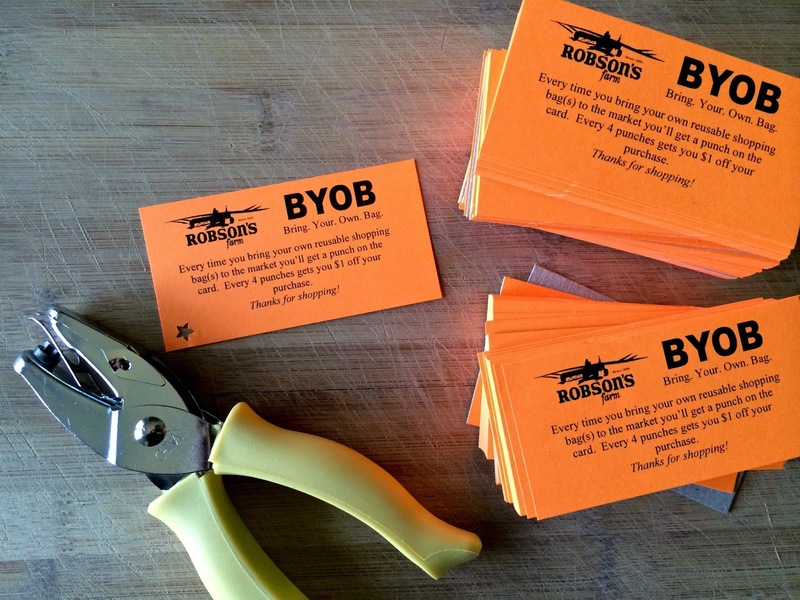 I launched our BYOB (Bring. Your. Own. Bag.) program at the farmers' markets this season and it seemed to be met with lots of smiles! I think you, my fantastic, fun, fascinating customers, who I am thankful for every day, should be rewarded. It's a feel good thing to do!